If you are familiar with playwright Jenny Magnus, The Strange doesn't seem so strange at all. Both brainy and brave, Magnus tackles big questions about human nature with gusto and a good deal of grit. 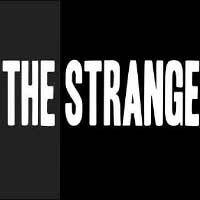 In The Strange, two women -- one grown, the other a girl -- meet late at night on three separate occasions. Convened under very unpleasant circumstances, their meetings provoke a cascade of questions: Is hope (or despair) infectious? Can one person ever really influence another, or is "listening" always a form of playacting? Flashes of startling insight illuminate this darkly funny play which first appeared as a part of Curious Theatre Branch's 2014 Magnus in Play Festival. The Ruckus now re-stages this remarkable compact work in association with the Athenaeum Theatre. "... The Ruckus's sturdy revival of the 1998 work is aptly gritty and muscular, digging deeper into the psychological terror than Magnus's original production for Rhino fest. But director Allison Shoemaker gives the strangeness short shrift, playing things so straight that the implausibility becomes a liability rather than an asset." "...I always enter with trepidation when a new script is being presented and my instincts about this play were dead on. This is a 50 minute play which seems like an exercise for a playwriting class in a university that is presented in a student directed lab theatre. It is not my nature to be mean-spirited or harsh but it is truly difficult for me to find much about this play or production that is redeeming."